In the northern hemisphere, June heralds the beginning of summer – long days and warm sunshine (unless you’re in Luxembourg, where it’s still cool and soggy at the moment…) Here in the IHS, we’ve got one massively important event before the Summer Solstice: the Ithaca symposium! For those of you who plan to attend, we invite you to make short video clips with your phones or tablets, maximum 20 seconds, of anything that grabs your attention at IHS48, and send them to us at hornandmore@hornsociety.org. The July newsletter will consist of your contributions, sewn together in a colorful collage. The current issue features three horn player/composers who have all written multiple pieces through the Meir Rimon Commissioning Assistance Fund: Paul Basler (our interviewee of the month,) Kerry Turner (in a video describing his three Meir Rimon commissions and some fun footage from the beach in Andalucía,) and James Naigus (who has kindly provided us with sound files for his two Rimon-funded works.) You can read about Meir Rimon and the fund set up in his honor on the IHS website. 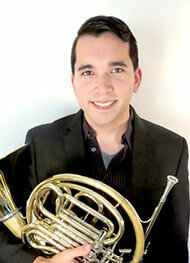 In addition, Bill Vermeulen gives us Six Quick Fixes to Horn Playing in a superb video presentation. 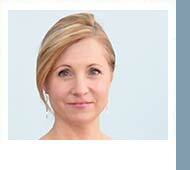 I hope to see you soon at the symposium! Kerry Turner Discusses his compositions that were commissioned with support from the Meir Rimon Commissioning Assistance Fund. Click the image to see the video. For those of you who thought you had missed out on attending the 48th International Horn Symposium because you missed the registration deadline, we have some good news. THE COLLEGE ADMINISTRATION HAS NOW AGREED TO ALLOW FOR WALK-IN REGISTRATION DURING THE WEEK OF THE SYMPOSIUM, 13-18 June. Neither on-campus housing nor meal plan options will be available for walk-in registrants, but you WILL still be able to come participate in what looks to be a truly exciting week of lectures, demonstrations, exhibits and performances. Come WALK-IN and Celebrate the Natural Beauty of the Horn!!! Ithaca is Gorges. IHS2016 is CORges! Looking for the next great masterpiece for horn? We are! The Major Commission Initiative (MCI) is a fund created to commission new works for horn by world famous composers. Unfortunately, we are currently turning away extremely promising proposals at this time because of a lack of funds. You can help! Donate now to the MCI fund and help us commission major new works! 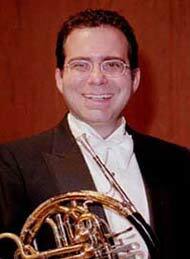 Bill VerMeulen, Principal Horn of the Houston Symphony Offers his Six Quick Fixes. Click the image to see the video.